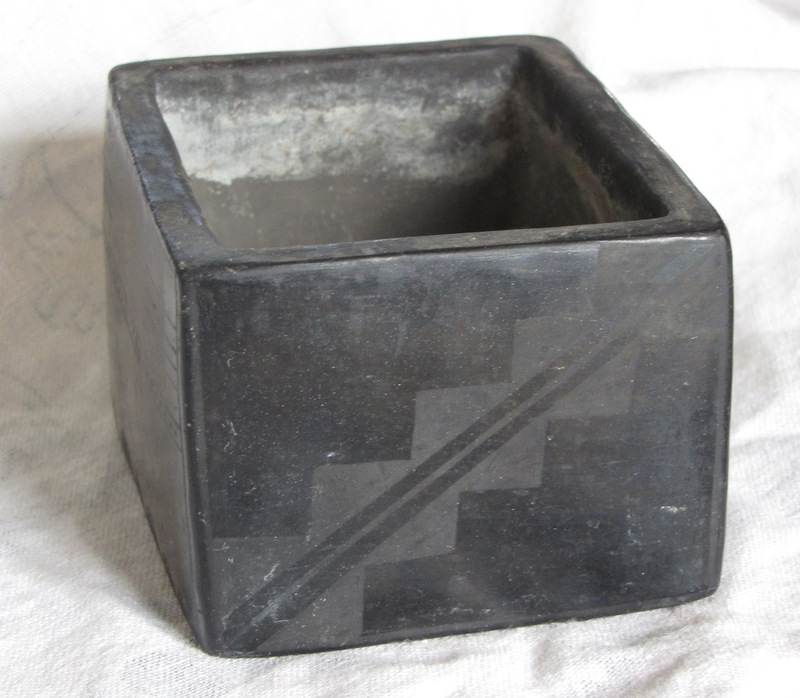 Collectivator :: Pueblo pottery container by Maria Martinez. Maria Montoya Martinez (1887 to July 20, 1980, San Ildefonso Pueblo) was a Native American artist who created internationally known pottery. 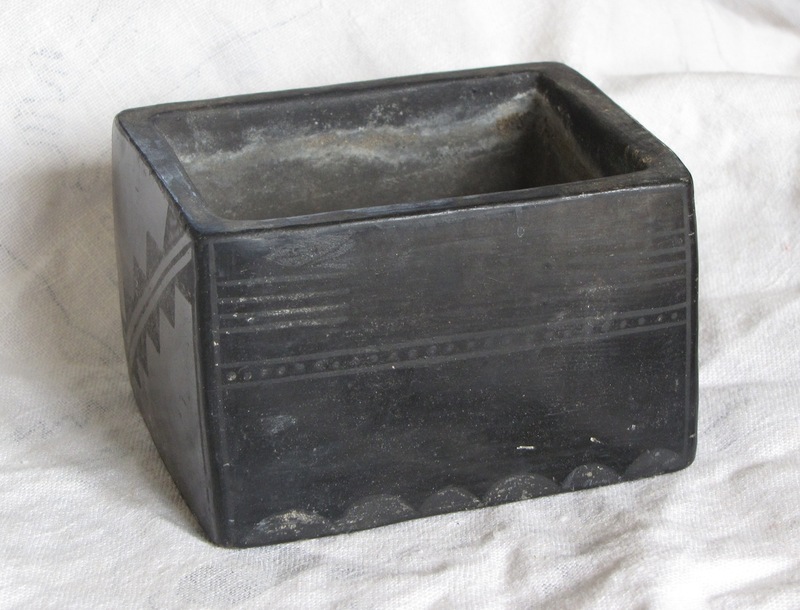 Martinez (born Maria Antonia Montoya), her husband and other family members examined traditional Pueblo pottery styles and techniques to create pieces which reflect the Pueblo people’s legacy of fine artwork and crafts. 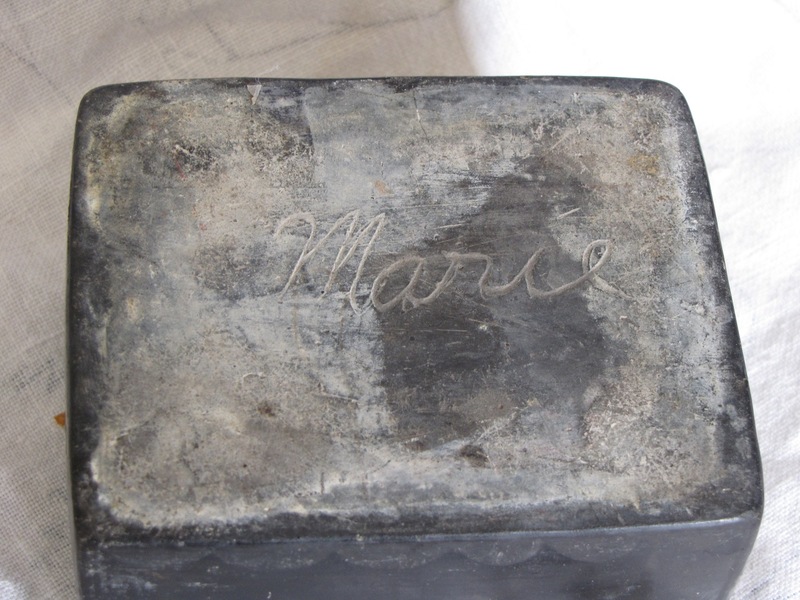 Once Maria gained success with her pottery she began signing her work as "Marie." She thought that the name "Marie" was more popular among the non-Indian public than the name "Maria" and would influence the purchasers more. This piece signed as "Marie" dates the pottery between 1923 and 1925. The piece is 2 1/2" high. It has not been buffed as many of her works appear and is in good condition.